R.M.D. 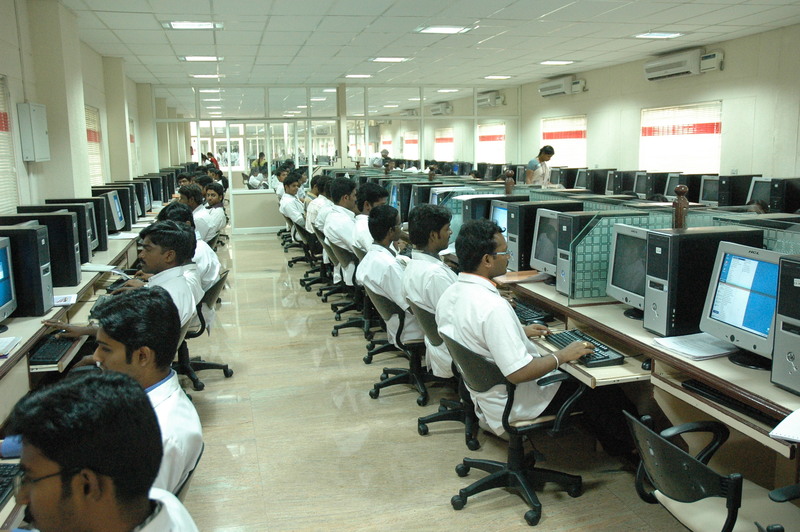 Engineering college computer centre provides computing facilities to the students through well-equipped labs. 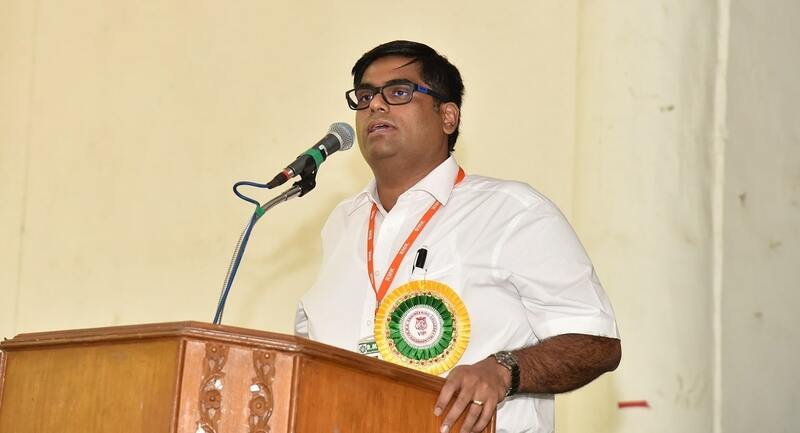 This is a central facility and provides computing support to the user community consisting of students, faculty, research staff and office staff for academic and office automation purposes. The centre has established a campus-wide network using a fibre optic backbone with a capacity of 1GB that connects all the academic departments, library and other central facilities to the computer centre. 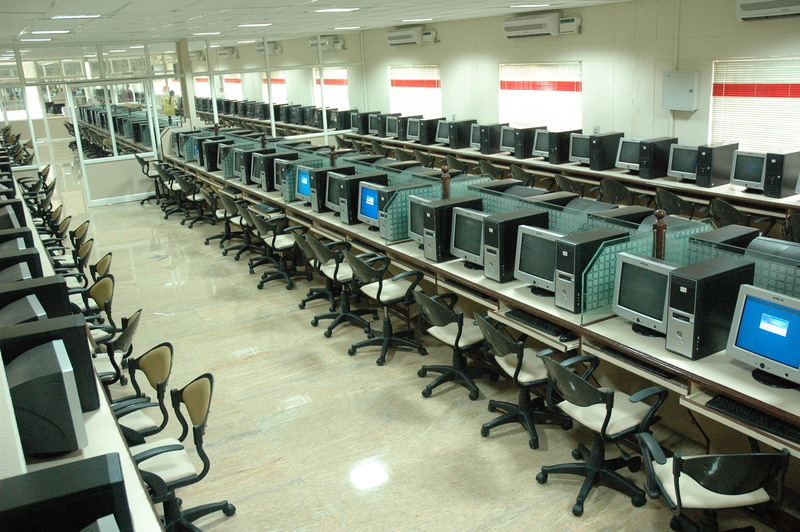 The computer centre is fully air conditioned with adequate UPS backup, having covered area of more than 1000 Sq.M with 600 computers to afford computing facilities and internet services. The centre has 30 Nos Apple Imac “Quad-Core-I5”, 2.7GHZ / 8 GB / 1 TB / Intel IRIS Pro Graphics/WLMKB, 350 systems made recently with the following configuration: DELL & Intel i7 processor with 3 .40GHz, 8 GB RAM, 500 GB HDD, 20.5 Inch LED Monitor. The centre has two numbers of Dell Power Edge T620 and one number of Dell Power Edge T420 servers. It has licensed Application software’s and Operating System. The working environment is open and it facilitates smooth functioning of the centre and effective utilization of the resources. The centre provides system administration and technical support which include software installation, network monitoring, internet connection and digital library etc. Additional labs are equipped for Mobile Application and Big data. 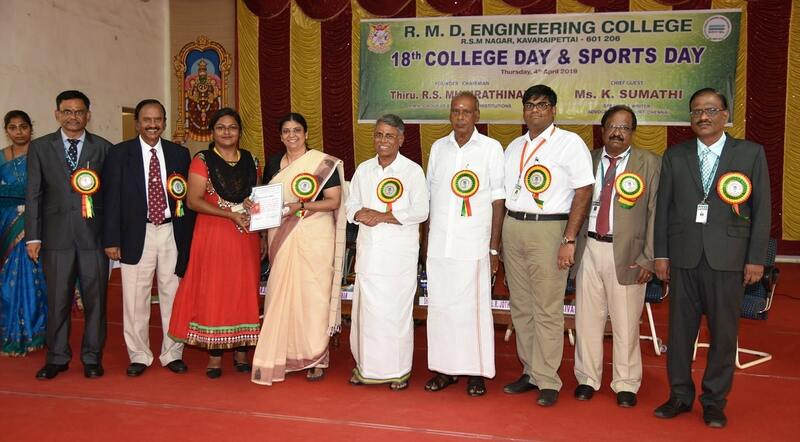 Each department of R.M.D. 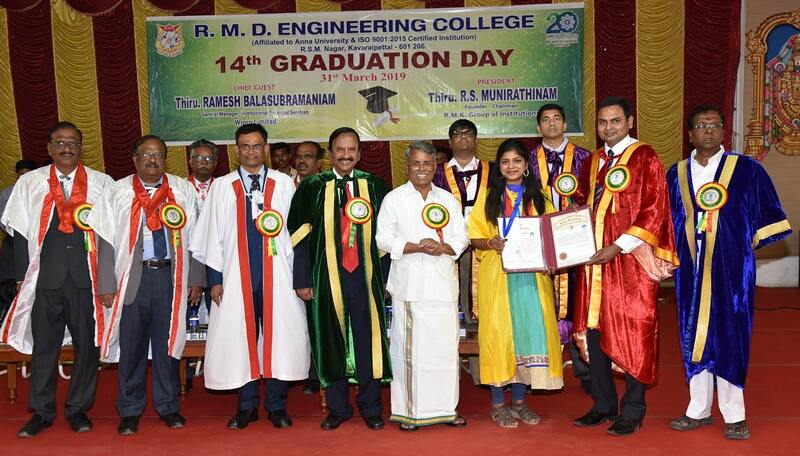 Engineering College has one modern seminar hall with LCD and multimedia facilities for the purpose of placement, education and training to meet the demands of the rapidly changing global environments and they are well maintained by computer centre. It provides support in conducting on line mock aptitude test and BEC communication skills lab test. Recently, Video Streaming Server has been installed at RMDCC. 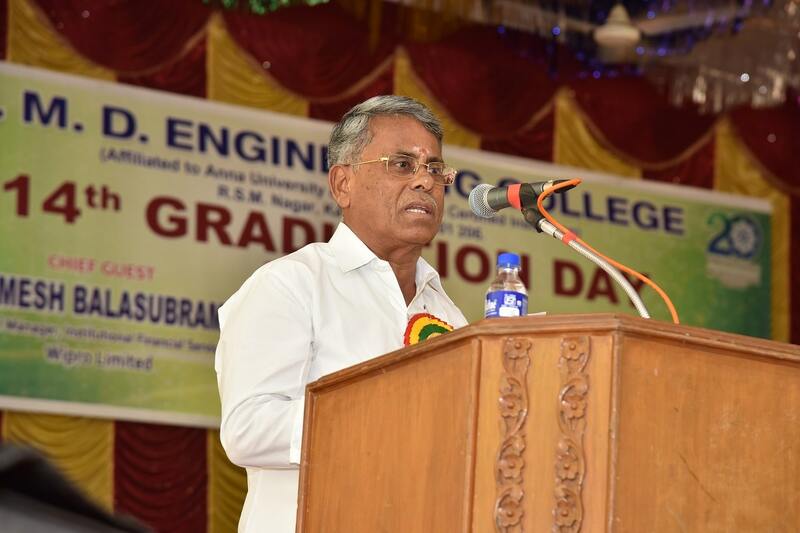 This will enable the students/faculty to participate in lectures delivered from any campus. The centre has a 310 Mbps internet speed such as 60 Mbps leased line internet connection from TATA Tele services and 250 Mbps leased line from Reliance Communication. The centre provides weekly one hour of internet for all the students during college working hours and daily one and half hours of internet for hostel students after college working hours. The centre provides free Wi-Fi facility to all the hostel students from 4.00 pm to 7.00 pm. Individual hostel student have to register their laptops using secured certificate and active directory services. 50 Nos DELL, Intel® 4th generation Core™ i7 Processor, 3.40 GHZ Processor speed, Intel DH67BL mother board, 8GB RAM, 500 GB HDD, Dell mouse, Dell LCD monitor, Dell keyboard, Windows 7 / Ubuntu 12.04 OS. 215 Nos Intel i7 Processor, 3.40 GHZ Processor speed, Intel DH67BL mother board, 4GB RAM, 500 GB HDD, Logic Tech mouse, ACCER LCD monitor, TVS Gold keyboard, Windows 7 32 BIT OS and Ubuntu 12.04 OS. 75 Nos Hunt Key Intel i7Processor, 3.50GHZ Processor speed, Intel D33025mother board, 8GB RAM, 500 GB HDD, Logic Tech mouse, ACCER LCD monitor, TVS Gold keyboard, Ubuntu 12.04 OS. 55 Nos Intel Core i5-2400 Processor, 3.10 GHZ Processor speed, Intel DH61WW mother board , 4GB RAM,500 GB HDD, Logic Tech mouse, LG LCD monitor, TVS Gold keyboard, Windows 7 32 BIT OS. 90 Nos Intel i3 Processor, 2.93 GHZ Processor speed, Intel DH55TC mother board, 2GB RAM,320 GB HDD, Logic Tech mouse, ACCER LCD monitor, TVS Gold keyboard, Windows 7 32 BIT OS. 65 Nos Intel dual core 2.2GHz,2GB RAM, 250GB HDD, Logic Tech mouse, LG LCD monitor, TVS Gold keyboard, Windows XP SP3 32 BIT OS. 20 Nos Intel Pentium Core 2 Duo Processor, 1.8 GHZ Processor Speed, Intel DG965RY Mother Board Silver , Intel D94GCL Mother Board Silver , 1GB RAM,80GB HDD, Logic Tech Mouse, HCL CRT Monitor, Samsung Keyboard, Windows XP SP3 32 BIT OS.